© 2014 Shoutarou Tokunou, Houbunsha Co. Ltd.
Aoba Suzukaze graduates from high school and joins the Eaglejump game company. The person who made the game that Aoba loved as a grade-schooler just happens to be Aoba's senior at the company. Wow, Alcohol is expensive. I could buy a Manga Volume with that. I'll only take employees who are cute enough that I'd gladly tolerate their failures! Episode 1 – New Game! You thought deeply about the manga “New Game!” and now you think it’s time to put these thoughts into words and to do so in a well-structured form? Then now is your chance to be the first to share your review about “New Game!” with our community by creating a review thread for it and posting your review there. Use the button below to quickly create the thread! 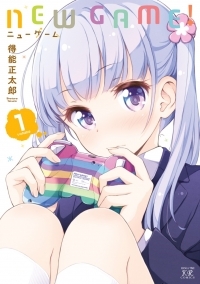 You want to share your opinion on the manga “New Game!” with other members of our community, but you don’t really have enough to say about it to fill a whole review? Then don’t hesitate to create a comment thread for “New Game!” using the following button and be the first to share your thoughts! Release Date: 28.01.2013 ‑ ? 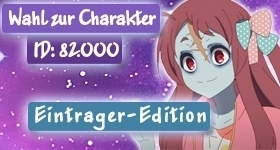 Release Date: 27.03.2018 ‑ ? Volumes / Chapters: 5 / ?